Still reading Great Expectations by Charles Dickens for my AP English class- but I’m over half way through! I’m loving every second of it, so that’s a bonus! Last night I finished rereading The Catcher in the Rye by J.D. Salinger, and I’m so happy that I decided to read it again! I first read it in my ninth grade English class, and I didn’t get much out of it at all. But this time around I definitely felt a stronger connection with Holden, and I appreciated the story itself a lot more. How could I not have felt for poor Holden, who only wanted to be understood and loved? I think I might check out more of Salinger’s writing in the future. 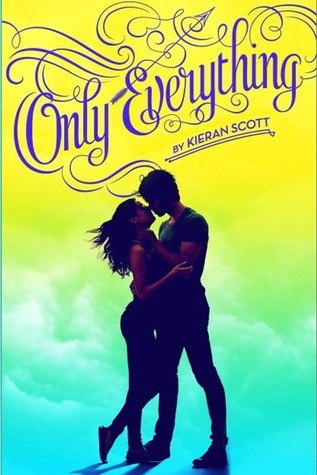 I won a copy of Only Everything by Kieran Scott in a Goodreads giveaway AGES ago, and I just really need to get around to reading it soon! I’ve been reading a lot of heavier, more difficult stuff lately, and I think I could use a lighter read to give myself a bit of a break. Hopefully this will do the trick! Ok, you seriously need to sit down and finish Great Expectations. Read EVERYTHING by Salinger! His writing style is absolutely gorgeous Holly! I mean the way he describes characters and explores them is legendary! I have Great Expectations at home (can’t wait to get started on it) Dickens is amazing, y’know? I’ve also been reading the Spanish translations of Harry Potter! What a great way to practice the language. I don’t know if you heard, but MisB has stopped the WWW Wednesday meme. But never fear! I’ve started it up again! 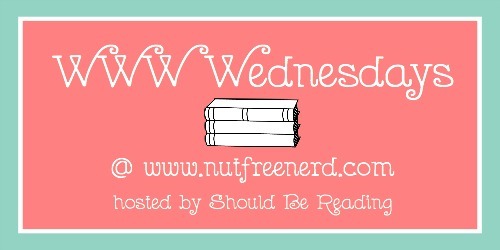 If you want to post your link and join the community, you can find this week’s page here.